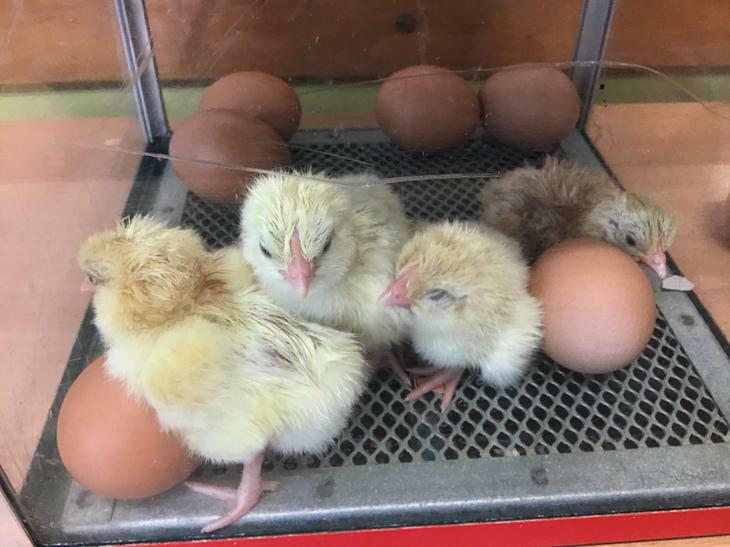 We came into school this morning to find another 2 eggs had hatched bring our brood of chicks to three. After this mornings assembly at 09.30 our fourth egg hatched. We also noticed that two furthermore eggs have cracks so we will keep you updated throughout the day. During the afternoon we were lucky enough to see one of the chicks actually hatch! 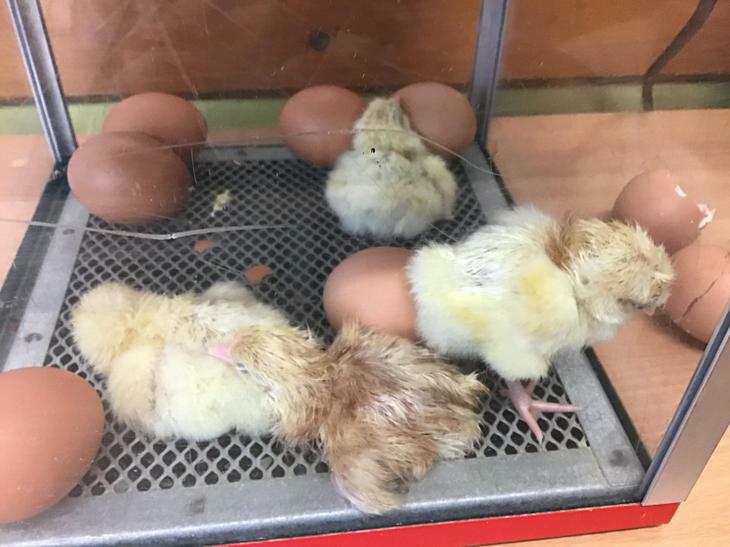 Later in the afternoon another chick hatched. In total we now have 6 in total. 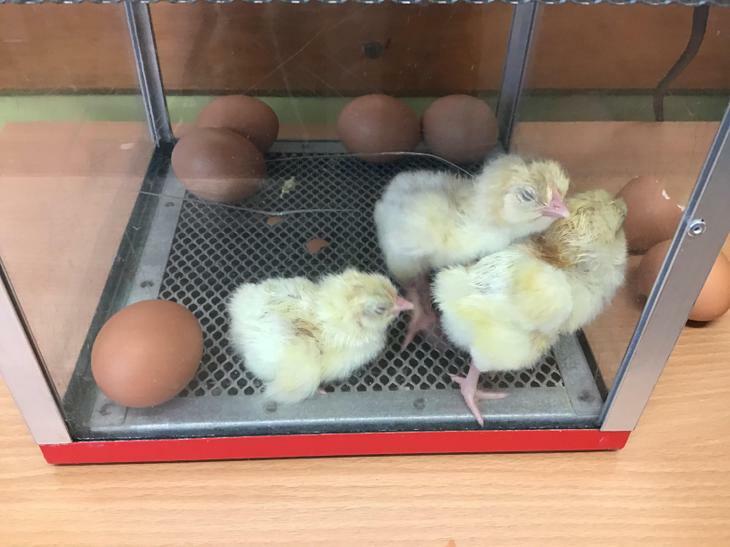 Miss Parsons moved 3 of the chicks into their new home. Hopefully in the morning we will have 10 in total.